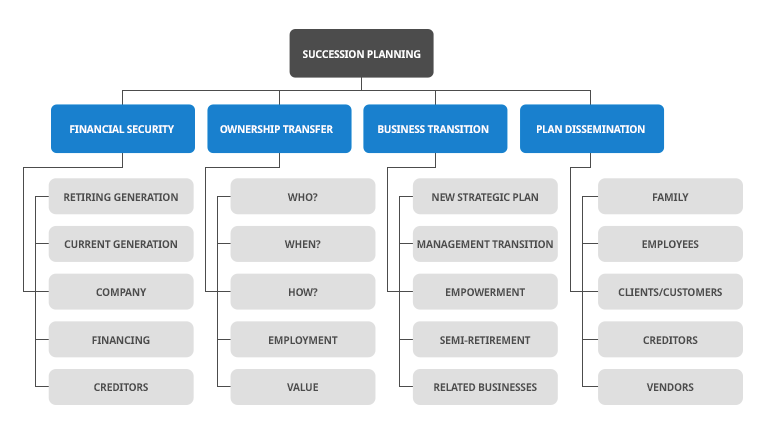 As the chart below suggests, succession planning is complex. It isn’t an event, but a process that takes years in the making. A number of very specific challenges need to be addressed and resolved for the process to be successful. One of those challenges might be defining success itself. For sure an inclusive collaborative process has a better chance for success – structuring that process often requires the involvement of outside professionals familiar with the steps along the way. 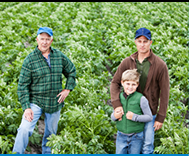 Here are some articles I’ve published related to succession planning. You may find them helpful in thinking about your own situation. When does succession begin for the family business? Finding the point where the family decides that the business is not for sale is the point when things begin to change. Family business expert Richard Segal shares how families and businesses can grow with success. What is the final act for you and the family business under your watch? Understand that succession is not an event, but a process. It is most successful when the entire cast of characters works and plans together. As principal of Segal Consulting, Rick is a widely recognized leader and publisher in the area of Family Business. He holds an Advanced Certificate in Family Business Advising with a Fellows status from the Family Firm Institute. He is the founder of the Family Business Council and its affiliated Study Group.